Today, we welcome Jamie Benson, a man of varied talents, (which he uses for the good of dance, of course) to Dance Advantage. If you’re not currently teaching dance in a conservatory or academic environment, this article is made with love for you. As an aspiring or even established dance instructor, you’ll likely be hired at some point to take on the task of inspiring the less then serious student. It’s blasphemous I know, but many of your students are casually exploring a hobby while in your class. Heck, with the economy the way it is, dance can even be seen as frivolous (gasp) to the more recreational dancer. How do we get these students to plunge headlong into the deep dance waters of your class to discover the stunning pearls of wisdom you have to offer? How do we get you to achieve the kind of attendance you need to retain as many classes as possible? In this article, you’ll find a few proven methods to increase student retention while becoming a more formidable instructor. Run your class a little more like you would a business (well sort of). When presenting yourself and your skills (your product essentially), the student (or customer) needs to be able to quantify right away what is in this dance thing for them. You’re pretty great (I’m pretty sure of it) but remember, your students are most likely already busy. And they, like you, are being bombarded with a plethora of other ways to better themselves. Your credits and the student’s initial reasons to sign up for the class may not go as far as they used to. Any business person worth a damn will tell you that you have to provide your audience with a plethora of quantifiable incentives and surprises to build excitement, brand awareness and sustained trust. I am not one for lengthy speeches during a dance class (they drive me bonkers), but briefly verbalize throughout your class how dance can transform lives, in both little and large ways. Next, you’ll get some specific examples on how to do such a thing. The majority of people in your dance class are there to look better and make healthier choices. When you’re leading people in an intensive sweat-a-thon, the idea of fitness & health seems implied I know. But, what can we do to help our students be truly conscious of the relevance dance has in how we look & feel? As you mold your dancers into expressive performers with gorgeous lines, take a moment to note what that arabesque is doing to sculpt their bums too. If someone looks tired, physically or emotionally, suggest an easy meal idea or exercise that could put a literal lift in his or her step. Be a resource for your students beyond simple dance technique. Create & offer them continued value online so they can incorporate your lessons into their daily lives. The habits you help instill in your students will provide mutually beneficial results. You’ll be acknowledged as the dance guru you are while your students reap the rewards of a healthier lifestyle. My number one pet peeve when taking class is when an instructor ponders their own reflection in the mirror more then how they can help me, their student (Check yourself for this. We’re watching you). Whether you struggle with this type of narcissism or not, actively assessing your dancers in every moment is a truly special skill. I find it useful & fun to approach a class like a detective would a case. Look for clues on how to provide personalized attention to your student’s practice. Use your senses. Do you see anyone wresting with a stiff joint, tight muscle or even an old injury? (You already asked who has had injuries before right?). Before class starts, at a water break, or during a transition from one activity to another, keep your ears perked. Do you hear anyone complaining about his or her bodies? Add a stretch or activity to your warm up that may help alleviate the issue. Be especially attentive & supportive if it appears that someone is just having a bad day. If I’ve learned anything from watching Dancing with the Stars, the struggle inherent in learning to dance represents so much more then the dancing itself. Be conscious. Have a blast being the solution to any kind of problem that may come up. French screenwriter and novelist, Françoise Sagan, once said that, “Art must take reality by surprise”. Dance class is no different. Playing around with your music selection is an easy way to start. If you’re teaching a ballet class, and you’ve been paying attention (see rule #3), try an impromptu hip-hop or 80’s ballet barre one day. Create incentives for the students to engage more fully in class. Give deserving dancers the opportunity to create their own playlist for your next warm up. Keep them guessing, ya know? One of the easiest ways to disarm & bond with your dancers is to recognize their mistakes as your own. We were all beginners once. It’s tough to stare at yourself in a mirror and be told you aren’t doing things right for a whole class at a time. When you see students battling bad habits you’ve had before, let them know that you’ve been there. Use a little self-deprecating humor about your own experience. Be quick to laugh off mistakes you make while teaching class. Giving dancers a good laugh also gives them wiggle room to grow without unnecessary drama. Use this 5-point plan to create a fertile environment for fun, fitness & real creative progress. Now, if the studio where you work is not doing a great job at connecting with their communities and getting students into your class to begin with… well, that will be my next article for you. For now, use these tips to become an indispensable part of your dancers’ quest to better their lives. Become infectious enough to fill those classes up all on your own. Jamie Benson, proclaimed as “one of the strongest, hottest contemporary dancers of his generation” by dance critic Lewis Segal, is a dancer, choreographer & Alumnus of Cornish College of the Arts. Heralded as “Chaplin-like” by Back Stage West, Benson first garnered critical attention originating the role of “Eldon” in LATC’s Ovation award winning production of Shag with a Twist in 2005. Jamie Benson has also performed in the film Rent, McDonald’s Mario Art commercial, Rei Aoo’s Dance Planet, on the television series Dance360 & as a member of the Rudy Perez Performance Ensemble. Benson was the dance instructor & choreographer for the Washington State University Dance Squad while conducting dozens of Dance Camps across the Northwest with Dance Tec. In Los Angeles, Jamie Benson instructed at Gold’s Gym Hollywood, Fancy Feet Studio, the Pasadena Academy of Dance & an after-school program at Los Feliz Elementary. Benson recently lead over 300 dancers in both New York City & Portland, Oregon in the international line dance event Le Grand Continental. Benson teaches an array of dance styles detailing & expanding upon the principles & joys of movement. For more visit jamiebenson.com. Great stuff, Jamie! You are so right about this current economy affecting our students’ ability to pursue their dance education. So many of my students have cut their class time in half (or more!). I give them as much attention as I can, make it fun for them (class should be a joyous time for them, not one that is stressful), and provide feedback and critique for every exercise. Thanks for posting! Thanks for the words. Right, we have to be better, more creative, more attentive in order to infect people with the joy of dance – whether they pursue a career in it our not. Thanks for reading! Please help me spread it around! Another great article, Jamie. Some great tips. Thanks. Keep up the great work & I LOVE taking YOUR classes! And another great show of support Abbey, Thanks! It’s always a distinct pleasure to have you in my class. A dance class is the sum of all of those that are truly participating in it. You make the class better by taking it. You have beautifully articulated an intelligent, compassionate approach to dance education…teachers who understand .the benefits of this level of responsiveness to the teacher/student relationships are invaluable …keeping the art we all love vital and relevent…. Gosh, that means a lot coming from an instructor/choreographer of your pedigree Kate. Thank you. Indeed, it’s a mutually beneficial relationship that needs to be nurtured like any other. Thanks for this article, especially #3. Do you have any advice for the days when only 1 dancer shows up? I ‘m happy to teach just one student, but it’s hard to not have the one-on-one attention be intimidating for recreational dancers. Thanks! I’ve been applying your steps for a week now and I can actually feel a difference in my classroom. So, again, thanks! To teachers – One thing as a student and performer that puts me off is too much talking and not enough dancing with music. We go through drills on technique but no music half the time, how you can separate the two makes no sense, it’s boring to dance without music and I don’t feel inspired to do it, the music creates the movement, your body responds naturally to perform the taught techniques, to feel it and live it. Standing for ages listening to theory is also demoralising and quite frankly a waste of my money – I’m there to dance, if there’s a lot of theory do handouts. I easily get bored in the basic class and have given that up. Great advice, esp. : “Connect their mistakes to your own.” Staring at oneself with very few clothes on in the mirror for an hour and a half can be demoralizing, whether you are a beginner or advanced student, whether you’re 15 or 55. Empathy is so important. And sometimes it’s hard for a female teacher to empathize with the struggles of male students (those super-tight backs and hamstrings!) or male teachers with female students (what do you mean those pointe shoes hurt?!) But you have to try! Yes Carla! What I’ve learned is that empathy goes a long way in ANY encounter. Not coddling (wretch) but empathy. Whatever B.S. that comes our way at any given moment usually has little to do with us. Yes. put your feelers out there people. Try to receive a little more! Thanks fro the comment! Again, I LOVE your blog. Thank you, Jamie! As another belly dance instructor, as well as a marketing specialist and graphic designer, I do understand the demographic of my students (adult women 25-55) as being *very* casual hobbyists. And if gas goes over $4/gal. the only music in my studio is the crickets because women will sacrifice their own hobbies and interests to keep their children in theirs. Last week, before I read this, I was just having a chat with one of my instructors about the #5 topic and it was almost like you were eavesdropping on our conversation, LOL! I do have one question, though. I saw you mention the 1 student class and I was wondering if you have written any more on this topic. I try to reach out to my students every week through social media, and unless at least 3 plan to show up, I don’t have a class. But then again, my studio is located in my home so I don’t have a rent issue. I know, right. Teaching adults can be the most gratifying & most frustrating of all. They will always sacrifice their needs for work &/or children. I have not written about 1 person classes yet…. but I plan to now. Thanks Serafina! I started ballet at age 51, I’m now 55. I stopped 3 months ago because I can’t keep up in the beginner ballet class. Until this last year I had an instructor who was brilliant at assessing the needs of the students. This year, the instructors are missing the mark. How can I convey to the staff that the beginner class should be just that. I continually see new faces come and go very quickly – sometimes after one class. I can tell they are overwhelmed. I’m also mystified why company/advance dancers would attend a beginner ballet class. They are beautiful to watch, but can be distracting to the beginner student. There’s a big difference between ballet classes for adults that are labeled BEGINNER and ABSOLUTE BEGINNER – the former are almost always mixed-level, that’s just the way the economics of the studio business work out. Hopefully, teachers of mixed-level classes offer modifications to make the combinations easier or harder, but when they don’t, students have to figure it out themselves. To make a combination easier, you can turn pirouettes into balances, or do 4 slow ronds de jambes in place of 8 quick ones, or keep the arms in a low 5th position instead of doing a more involved port de bras… that kind of thing. Advanced dancers usually don’t show up to ABSOLUTE BEGINNER classes but they will sometimes come to mixed-level BEGINNER classes because they want to focus on some specific aspect of technique without having to deal with the complicated choreography in a more advanced class – it’s a good habit for them to occasionally take class at a lower level. And it’s valuable for the beginning students to have good visual role models – you can learn so much from watching someone whose technique is more proficient than yours. No matter how good a teacher is, he/she can only give you ONE view of what a step looks like! I applaud your venture into dance & hope that you take another step or two (both physically & metaphorically) before giving up on the notorious “beginner” / mixed level adult ballet class. You’re bringing light to a real issue. Just today, I attended a mixed level ballet class where the instructor sort of fritzed out due to the varied levels of the participating students (horrific really). First of all, THEY the instructors should be “reading the room” so to speak & offering less experienced dancers slight modifications to the combinations. Even though they need to keep the class moving they also need to be throwing out very descriptive language for even simpler movements. The more experienced dancer needs to hear that too in order to be more expressive and refined in every moment. I would go directly to the instructor and/or staff of the studio and make suggestions of this nature. The studio is there to accommodate you as a student & the structure of these types of adult classes need to continually adapt to the students that want to take them. Because they’re ALL different. As someone who sort of prides himself on teaching adults of all shapes, ages, & backgrounds, I can attest to that truth. Carla, who is awesome, is absolutely right. 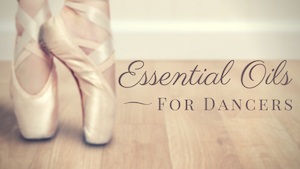 Whether it’s because of time away from dance, an injury or just a need to focus on technique & not complicated sequencing, more seasoned dancers need to get back to basics too. It can be an opportunity for everyone involved. Hell I found myself quietly helping those that had not danced before during the class I took today. They may be your best ally. To Jamie and Carla – you both provided excellent answers to Susan’s question and I would love to be able to quote you on my blog. I have struggled to provide a good answer to students about this very thing. Nichelle, would it be all right if I paraphrased the student’s question and then quoted Carla and Jamie verbatim and give DA attribution? Jamie and Carla, would you mind being quoted? Of course, and thanks, Leigh. Anything one posts publicly should be fair game for quoting and re-posting but it is nice of you to ask. Thanks for sharing and quoting, Leigh. You are more than welcome. We appreciate it! Um, yes. You ALWAYS have permission to quote me Leigh. And, if possible, make my name a hyperlink to http://www.jamiebenson.com/. I truly appreciate your interest in what I have to say on this matter. Truly, truly. To Carla and Jamie – I updated my post to include both of your comments. I think they are both so concise and spot-on and just exactly what I want to say to my students and future students. Leigh, splendid news! I deeply appreciate your appreciation. Please keep in touch! I’m grateful for your kind typing Carla. I know, people are so multi-occupied now. I think we just have to present ourselves as resources and hope our students feel comfortable to ask for advice if need be. Please keep in touch! Thanks for your insight #3 I love about dance is that it push your body to limits you didn’t even know you could reach! Hi, I am Pruthvi ,a bollywood and contemporary dance instructor from india . Thank you so much as your article helped me improve the quality of my classes.I loved to get more inputs from you. bye. You made some great points! I live in an area where there recreational studios only and I have been teaching recreational classes only so far. I made the experience that sometimes combo classes will help – and I understand that for many this is quite a discussion. Many young dancers really want to be like the ones they see on SYTYCD and so on, being able to do ballet and hip hop and jazz and everything. I have had some 1 1/2 hour-classes that combined jazz, modern and hip hop and I found that many liked it a lot. To me, this is not a “Dolly Dinkle”-way of teaching dance but much more a way of introducing even recreational dancers to all styles of dance, to differences in technique and so on! Definitely. A hybridization of disciplines is a key, I believe, to maintaining the interest of your students. Attention spans seem to only be getting shorter, plus it makes the class experience they have with you more memorable, engaging. Good luck to you! I will never be a dancer but have assisted a few dance instructors and have tried instructing a few genres at a very non-descript basic level (even some Zumba). I would like to do more for participants especially at a basic/recreational level. I don’t know if you have taught kids especially those from 2-5 who seem to have anxiety separation issues especially at first. My concern is how can you enforce a no parent rule as I understand that they need to learn independence but some kids will not do anything without them present but could be distracting to other students. I am trying the incremental approach of having parents be with them at first and as time goes by they gradually leave the kids alone. It seems to work but it is not conducive to the policies of the dance classes and unfortunately may be asked to drop out even if it is apparent that the kids want to dance or try to. We try to be inclusive with the mixed mode rec classes but it can be apparent that kids either don’t want to part of it, can’t develop any milestones that instructors are hoping for, too intimidated but love dancing, get too excited about it yet disrupt classes etc. I also truly understand that most parents simply want to expose their kids to a variety of experiences, disciplines even if the children are not initially interested in them. I will definitely keep your 5 steps in mind but would like any additional advice if at all possible. Just because dance is not for me it does not mean it has no value especially for others to enjoy.